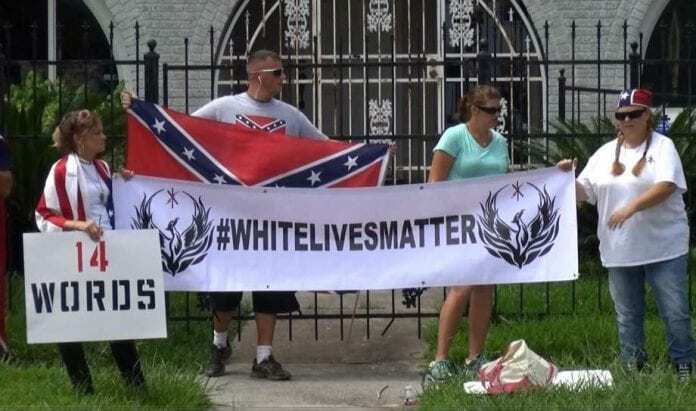 ‘White Lives Matter’ distances itself from the rich legacy and history of social movements by perpetuating racist rhetoric and employing hateful fear tactics. In its original and historic form, a social movement can be described as an informal collective of ordinary people working together, often times against forces such as the government and economic elites, to achieve a common goal. Landmark examples of such informal movements include Dr. Martin Luther King Jr.’s Alabama bus boycott and the March on Washington of the 1960s, and demonstrations in Eastern Europe that led to the eventual fall of several communist states in the late 1980s and early 1990s. These revolutionary movements sparked significant changes that molded the modern world. The ‘White Lives Matter’ movement of today pales in comparison to these history making illustrations of the power and influence of cooperation among ordinary people. Demonstrators of the last century dreamt of racial equality, democracy, and sought to protect vulnerable populations, while those who attended Saturday’s Shelbyville rally marched (KKK, Neo-Nazi, and Confederate paraphernalia in tow) as they chanted about their aspirations for a so-called “white nation”. In their own words: “Closed borders, white nation, now we start the deportation.” It is painfully clear that he ‘White Lives Matter’ movement has fallen a worrisome distance from the ethical framework of social movements our parents built before us. The ‘White Lives Matter’ rally that took place in Shelbyville, TN on last Saturday acts not only an embarrassing moment for citizens of the city, but also as an insult to the true and genuine roots of the modern social movement. However, these expressions of hatred, bigotry and anger incited a rare spirit of unity from the rest of community. White Nationalists were so overpowered and outnumbered by counter protesters spreading their message of tolerance and acceptance at the earlier Shelbyville rally, that the a leader of the group announced that the second rally scheduled in Murfreesboro for later that afternoon was cancelled. The counter protestors’ demonstrations illustrated a stark and welcomed contrast between the close-minded and racist ideology of the White Nationalists and the evidently triumphant narrative of peace passed on by those who were bold enough to shut them down. Counter protesters must continue to outshine the message of hatred to a degree high enough to extinguish any chances for racism and xenophobia to again take to the streets of Tennessee. Previous articleRoman J. Israel, Esq.